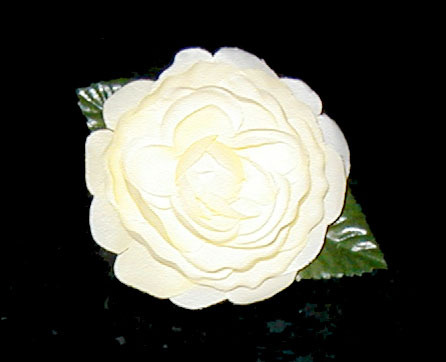 Cabbage rose hairclips. Pretty, pale yellow roses with leaves on alligator clips. Available singles or in pairs.